The era of the 1950s and 1960s is often looked at as a romantic time when viewing distance running. So many stars and heroes that captured the imagination of future generations. Indeed, what have we been captured by in the most recent decades? The purity of sport, the innocence, the striving to be the best in the world appeared to be just what athletes did on top of their day job. They became local heroes in their community, heroes around the world, but not the same as the modern era. How different it is. The advancement of professionalism has steadily progressed to the point of being out of control. Money, sponsorship, funding, drugs...are now ever present, leaving us all wondering what is real and what is not. The age of questioning what we see is a pastime of the many. Exposure and news is instantaneous. Response and reaction can be given by anyone and can be delivered directly to source. Simplicity, if there ever has been such a phenomena in the 20th and 21st century is quickly turning extremely complex. So was it different for athletes in the 1950s and 1960s. In my humble opinion after reading numerous accounts of this age and talking with various people (athletes and non athletes), I believe it was. The age of distraction was long into the future. The post war world was full of optimism and new achievements. There was a life out there to be enjoyed. New things to be explored, conquered and overcome. Let's face it the world had been strangled for many years in an age of extreme uncertainty. The world of athletics had taken a dip in the war years and the years before and after it. Advancement and achievement was there to be taken on and so around the world, athletes went about their business to make headlines and create the extraordinary. The chase for the 4 minute mile began. A chase that inspired athletes from all continents, which finally came to a point went a young Roger Bannister created the extraordinary. The age of advancement in further athletic achievements was finally a gate that was open. Naturally New Zealand was at the forefront of this chase led by Arthur Lydiard and his band of young men. Australia was also in the mix with Landy, Elliott and Clarke to name a few. But Lydiard was to inspire a revolution and his theories were to spread throughout a nation and eventually the world. Lydiards notable success came with the big 3, Elliott, Halberg and Magee, but in the background there were many more and of course the future generations were to bare further fruit from this era of discovery. So to HALBERG first. Murray Halberg was a keen young sportsperson who quite simply enjoyed sport. However, he was to have a unexpected accident whilst playing rugby which led to a damaging injury to his shoulder. It was to take quite some time to return some strength to it, but long term damage could not be avoided. Halberg, a straight talking, no excuses type of person drove on with life and found that he had a flair for running. He first made the Olympics at Melbourne, but it was here that the flames were fanned. Disappointment in his performance drove his mind to decide that this was never going to be the case in Rome in 1960. In the years before he worked hard and linked up with Lydiard. He adopted the system that Lydiard advocated and he drove his body to the most tremendous athletic feats, showing a great range from the mile to the 10000m. Halberg had also completed a Marathon at a decent standard, but this was only done for enjoyment and to further enhance his physical state for the shorter distances. In 1960, his hard training came to its peak and he delivered a Gold Medal in the 5000m, making a long run for home by putting in a fast lap with few laps to run. Overwhelmed with joy for his victory, he no longer had the motivation to complete the double and so he ran, but with little gusto. He had what he wanted and he just wanted to go home! Halberg never used his disability as an excuse and he believed that excuses were not part of the competitive equation. If you towed the line, you did the job and reaped what you sowed. A great attitude indeed. The things that become apparent in Gilmours book are the recollections that showed the adventure of this age. There is detail of Halbergs tour of Europe where he travels with Pirie and Elliott to various countries for different races. These boys slept on the floor, in the open air, got up the next day and either trained or raced to an exceptional level. They were having fun. Their love of the freedom of the outdoors is refreshing. There is talk of wonderful tourist tours, but also of the bad things they saw on their adventure. It was innocent, exciting and they were loving life and athletics. There's an overwhelming joy that comes over and Halberg often displays an appreciation of his position and opportunity. There are many nuggets of wisdom and direction for life that come from Halberg, but two that stick out for me is in a period where he is struggling for form, Pirie tells him that he is going to run some 200m repeats. Halberg turns round and says he is going to go back to some long running. Piries form dips. Halberg finds form again. Also Halberg talks of 35 mile runs! Runs he enjoyed even though he was out in the sweltering heat. 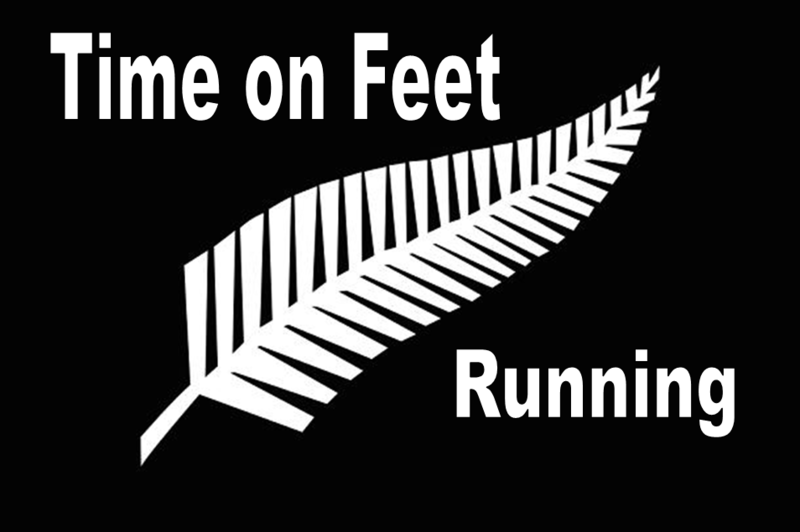 Halberg went on to run further fine races and set up an organisation for disability sport. He comes across a fine example from an age when they just did it (properly). And to SCOTT. Neville Scott. 'Scottie'. An extremely talented athlete who didn't reach the dizzy heights of Olympic Gold. Anxiety, depression, alcoholism and 5 marriages were to impinge on this talent. A man who drank all night, to be woken up early in the morning and still run 4 minute mile pace. A man who was to drink through an Olympic Games. A man who was to beat Halberg. A man who was to come back from the brink to make another Olympic Games, but be thwarted by injury. Neville Scott or 'Scottie' was to suffer early on. A difficult childhood where mother left the home and father pushed the children out to extended family. Scottie couldn't get to grips with real life. He didn't feel part of it at all. The only time he felt that he had some attachment to normal was when he could have a drink. And yes, he could drink. He could run better than anyone else and he could drink more. This led to further isolation. A man who just didn't fit...couldn't be explained, categorised, unpicked...Scottie was to suffer and reach the lowest depths. He eventually became institutionalised, but was to be saved by a doctor who gave him hope with a diagnosis. Eventually accepting his problem with alcohol, he turned his running into a medicine.It was to help him get back on track to use the raw talent to make another Olympics. Linking up with coach Arch Jelley another disciple of Lydiard, Scott gradually got his form back and paced Halberg to a near world record. He then found the belief to make the Olympic team by winning the NZ championships. A truly wonderful story showing the vulnerability of man, how many identifies with himself and his place in the world. For some it is a journey that is ongoing. No clear answers. Scott had his vices but he showed how pursuing a dream to self believe can bring about startling results. Maybe not to be repeated, but how many will ever know Neville Scott. Good on yer Scottie. A great story! A fine example that people can turn their lives around and bring themselves out of the troughs of despair.